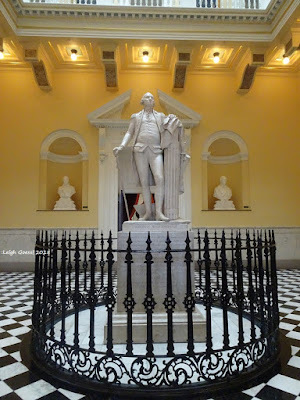 There are many fun and interesting things to do in Washington D.C. and Northern Virginia. The region is truly a gold mine of things to experience. This blog offers information, ideas of things to see and do, history, fun facts and observations through photos. You also might find some adventures from the eyes of a resident and frequent tourist. If you can't find the information you are looking for, please try the blog's search feature for other posts. Thanks for stopping by! The holidays are a special time of year and if you're looking to bring a little extra fun or magic into your days this season, there are plenty of things to see and do in the Washington D.C. region. Here are five fun and festive things to do this holiday season. 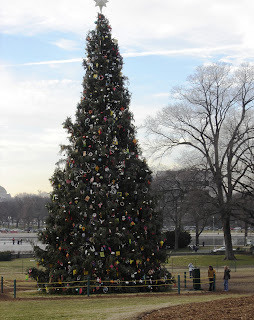 If Christmas lights and displays are your thing, you'll find plenty of options in the D.C. metro region from drive-through festivals to wandering through pathways in brightly lit parks or at the National Zoo, there is something for everyone at one of the many annual festivals that take place. White House and Capitol tree lighting ceremonies, which of course, are always an option. However, if you are in the area, there are plenty of other lovely trees to be seen. Check out Union Station, Mount Vernon, Old Town Alexandria, National Harbor, Library of Congress and other festive public spots throughout the region for holiday family fun - also be sure to read the well-rounded list DC Curbed has for local Christmas trees. One thing I never experienced when I lived in the Northeast part of the U.S. were Christmas parades. That being said, I have no idea if Christmas parades are a regional thing here in the mid-Atlantic or if they are a newer trend across the U.S. Whatever the case, there are many fun parades that brighten up the holidays each year in the DMV (scroll down to the bottom of this post for a list of winter parades in D.C., Virginia, and Maryland). 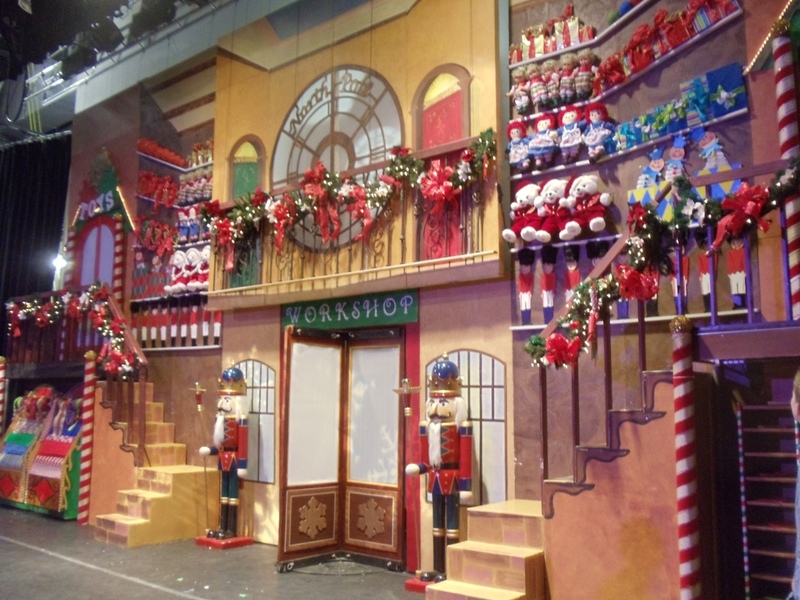 Once Halloween passes, many holiday-themed productions have their opening nights and last through the New Year. Check out the many holiday shows, Destination DC and Kid-Friendly D.C. has some great roundups of the local shows. We saw "A Christmas Carol" at Ford's Theatre on opening weekend 2018 and it was a wonderful show. We plan to see Encore Theatrical Arts Project's annual show coming up in December (this one has become a family tradition in my house). 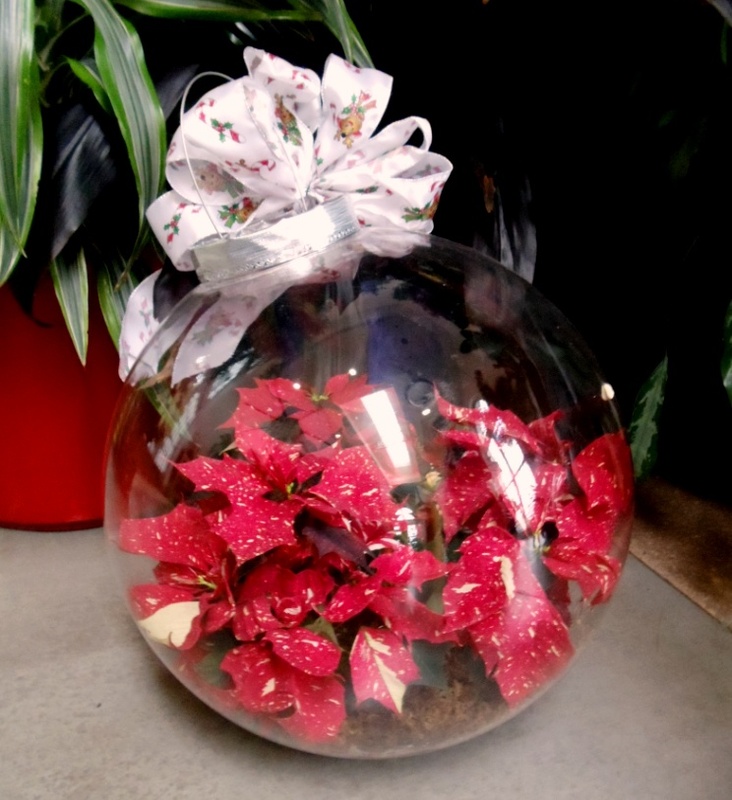 Holiday markets can be found all throughout the D.C.
region. From small locally organized festivals to large-scale annual events, there is something for everyone to be found. TripSavvy has a pretty comprehensive and updated list of where these can be found. I haven't been able to do an updated post yet, but here is a list of previous holiday and craft festivals in Northern Virginia (please keep in mind dates are from an earlier year and not correct but the events themselves are typically recurring each year). One of the great things about the D.C. area is there is never a lack of things to see and do in winter or any of the other three seasons. If you know of any other great things to see in the region, please let me know in the comments! cool and you have little ones, Sesame Place makes for a great overnight or weekend trip. Located in Langhorne, Pa., Sesame Place is a theme park featuring, who else? Those lovable Sesame Street characters. The park opens up in April and runs through December (with brief breaks in September and October to prepare for the seasonal festivals). 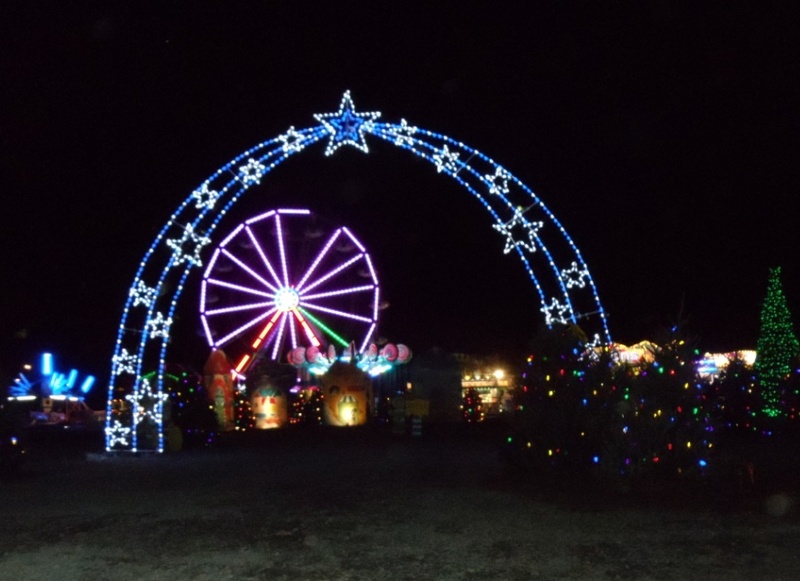 During the warmer months, the park is open daily with water rides and summer fun, however, once the temperatures cool, the park transforms itself to reflect the holiday season and is only open on weekends. Limited days during the fall and winter months does not mean the fun has to stop. For instance, once the Halloween events end, the park shuts down for the first two weeks of November during this time Sesame Place transforms into a winter wonderland and holiday celebration. From mid-November through the end of December, the park presents "A Very Furry Christmas". The official arrival of "A Very Furry Christmas" at Sesame Place typically comes in the second half of November, just before Thanksgiving. 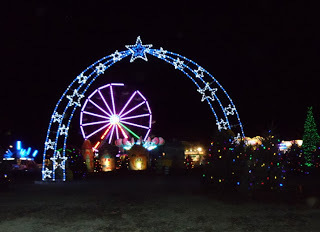 While Sesame Place is mostly geared towards the toddler through the early elementary school-aged set, the park is fun for all ages, especially for those who grew up watching "Sesame Street"; a definite feeling nostalgia emerges as one wanders through the park adorned with Christmas cheer. Visitors to "A Very Furry Christmas" are welcomed by multi-colored Christmas trees prior to the ticket entrance, and once inside, the full effect of Christmas on "Sesame Street" comes to life. Once inside the park, there is plenty for the family to do. However, not so much that it is overwhelming, especially for the little ones. For instance, the park is nowhere near as large as any of the Disney parks. One of the highlights of "A Very Furry Christmas" is the Christmas-themed shows featuring popular favorites such as Elmo, Big Bird, Bert, Ernie, Cookie Monster, Abby, Zoe, the Count and more. In typical Sesame Street fashion, the show has a teaching angle that relates to the holidays. Usually, there are several shows running multiple times during the day, and, from what I can tell, the shows change every year. However, the 1-2-3 Christmas Tree Show, a musical light show displayed on the park's large Christmas tree, and the 'A Very Furry Christmas' Parade seem to be annual staples. There are two parades, one in the late afternoon and one nighttime parade. The traditional year-round "Neighborhood Street Party Christmas Parade" celebrates Christmas as holiday-themed songs and winter garb is worn. The evening show is pretty, as "Sesame Street" comes to life all lit up. Throughout the visit, in between shows and character meets, there are plenty of "dry" rides to enjoy. There is "Big Bird’s Balloon Race", "Grover's World Twirl" (this one resembles the teacup ride at the Magic Kingdom), various Elmo-themed rides, a carousel and more. Throughout the day there are numerous opportunities for meet and greets and photo ops with the various "Sesame Street" characters and also, Santa. Additionally, there are playground-like activities where kids can do what they do best - be kids! There are also several snack carts, featuring festive winter snacks, such as cookies and hot chocolate" and a couple of cafes. There are also carnival games (for an additional cost). "A Very Furry Christmas" is a family-friendly event at Sesame Place, highly recommended if you have young children. From the D.C. area it's about a three-hour ride, so you'll probably want to stay overnight. We did it a few years ago and drove home. It was way too long of a day. To see what's offered and dates the festival is open, see the official website for current details. As 2019 creeps closer, I started musing about things to do next year. That got me thinking about all the different parades we see in and around Washington D.C. throughout the year – and there are many! The first of which starts in January. However, being it's currently October, I realized there is a flurry of events happening right around the corner because many of them take place between Thanksgiving and Christmas. Here’s a rundown of the different annual parades broken down by month that you can find in the region. In January on Martin Luther King Day, the annual Peace Walk takes place. 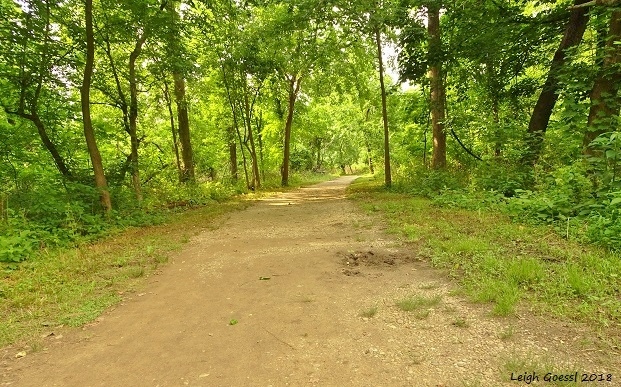 A 2-mile walk, everyone is welcome to join. This parade has been a tradition since 1979. Mardi Gras isn't just in New Orleans. 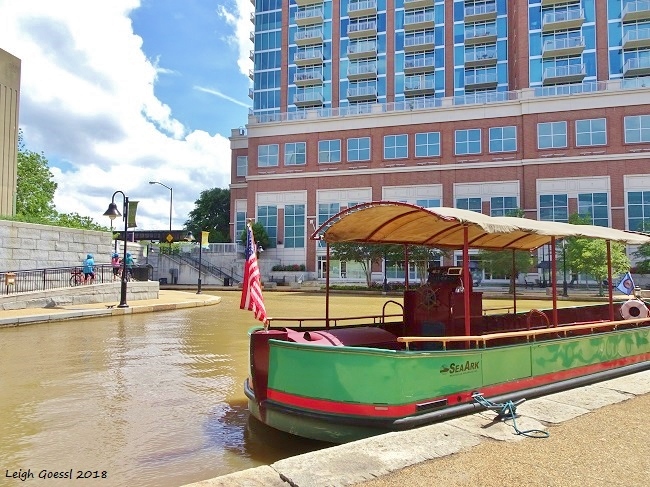 If you're in the D.C. area, you can enjoy parades, floats and fireworks right downtown at the District Wharf. Across the Potomac in Arlington (Clarendon), there is also an annual Mardi Gras parade that takes place (check the website for updates, it seems due to other events in the region taking place simultaneously, this one may get shifted to another date). Chinese New Year is a big event in the D.C. region. This celebration starts either in January or February, depending on which month the New Year falls on in any given year. As part of the festivities, there is always a big parade held downtown. 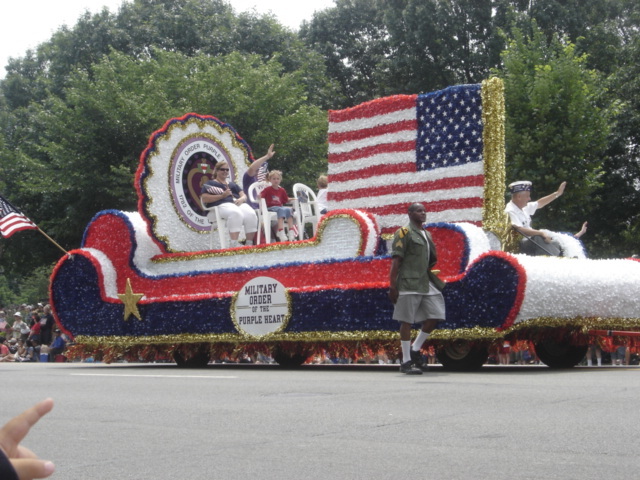 Alexandria, Va. is the location for the annual parade to celebrate George Washington. Washington owned nearby Mount Vernon and spent a lot of time in Alexandria proper, so it seems fitting this city would be the chosen location for this celebratory parade. The event always takes place on the third Monday in February (President's Day). 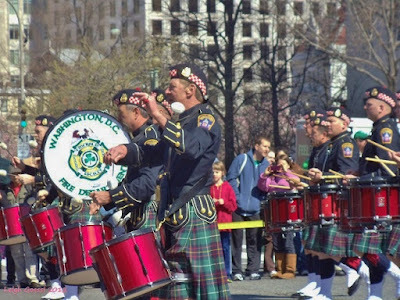 St. Patrick Day's Parade, Washington D.C. 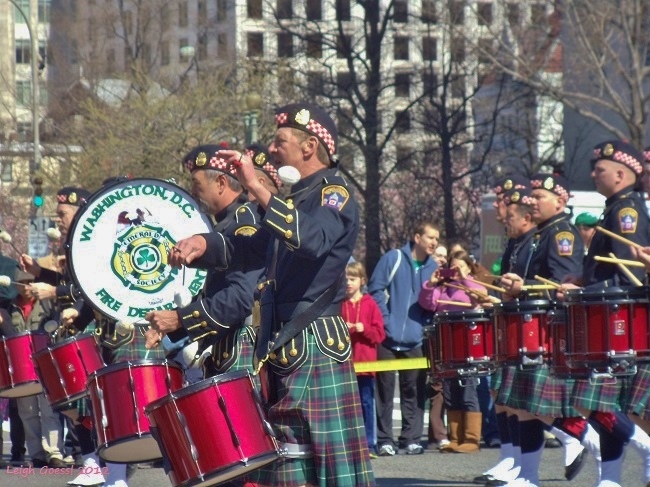 Many of these communities also have other fun celebratory events for St. Patrick's Day. Late March to mid-April brings the National Cherry Blossom Festival to downtown Washington, D.C. The festival offers both a parade and fireworks. In the past, they've held the parade first and with the fireworks taking place on the last weekend of this three-week festival. 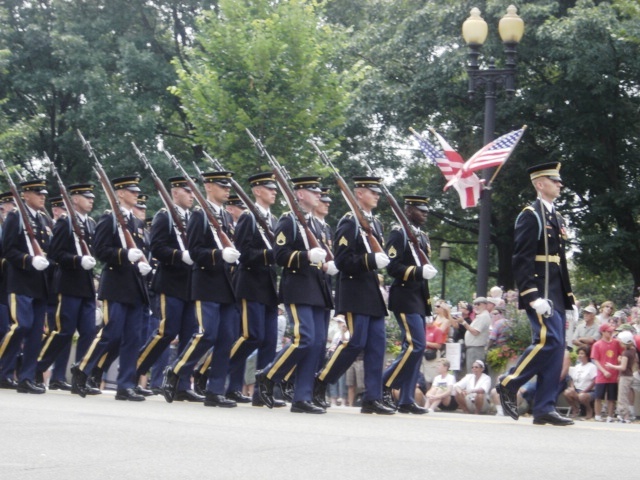 As the month of May comes to a close, the biggest Memorial Day parade in the U.S., the National Memorial Day Parade, takes place along the National Mall to honor those individuals who have given their all. Rolling Thunder, an organization dedicated to bringing awareness of and bringing full accountability for prisoners of war and those missing in action, holds its annual Rolling Thunder Rally. The event begins at the Pentagon, crosses over the Potomac River and moves its way into D.C. (see the website for full Rolling Thunder events over Memorial Day weekend). 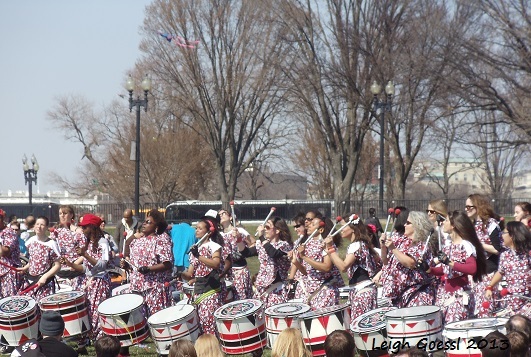 Other events in May include the DC Funk Parade and the Shenandoah Apple Blossom Festival Parade (the latter is a bit off the beaten path, about 60-90 minutes west, depending on where you're driving from, but would be a great day or weekend trip). Every June, the Capital Pride Parade takes place in the Dupont and Logan Circle neighborhoods, celebrating diversity and pride. To find out the current date/year of this annual event, visit the official website and click "calendar view". The Fourth of July is the big parade (and fireworks!) event for July. 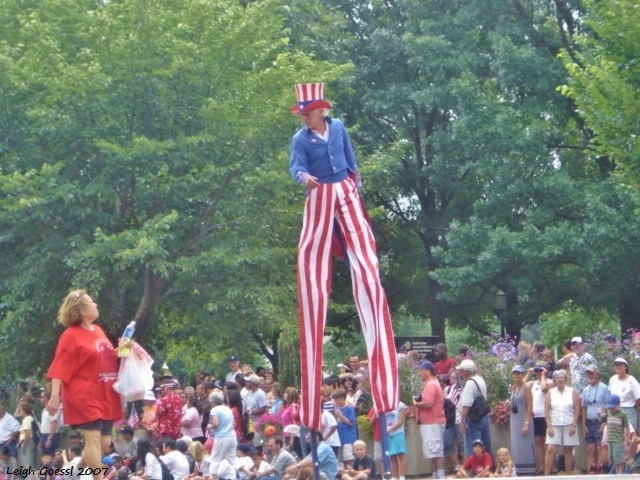 The nation's Capital city hosts these amazing events every year and more. You probably can't find a better place to be on July 4th than Washington, D.C. to experience the National Independence Day Parade if you don't mind the crowds. Many of these events include other holiday fun, along with fireworks. Later in the month, the Baltimore Carribean Carnival Parade kicks off. An annual event that takes place in mid-July, their website is active but at the time of this writing contains no information. It may be updated as July comes closer. As of now, I am also not aware of any October parades, but hopefully one day soon we’ll see an MLB World Series Championship (Let’s go Nationals!) parading down D.C.’s streets. Based on MLB's latest playoff schedules, I suppose it could theoretically take place in October, but more likely early November. November brings the annual Northern Virginia Veterans’ Day Parade that takes place in Manassas. The parade marked its 10th year in 2018. Every November, on the Saturday before Thanksgiving, the Montgomery County Thanksgiving Parade comes to town. The Reston Holiday Parade is an annual tradition since 1991. It takes place at the Reston Town Center, usually on the day after Thanksgiving. Scottish Christmas Walk Weekend (Old Town, Alexandria, Va.) (Note: There are usually a ton of events going on throughout Old Town Alexandria to coincide with this annual special weekend after the parade). For more information about the specific Virginia Christmas and Holiday parades, I invite you to visit my other post that contains more detailed information and links to official websites). 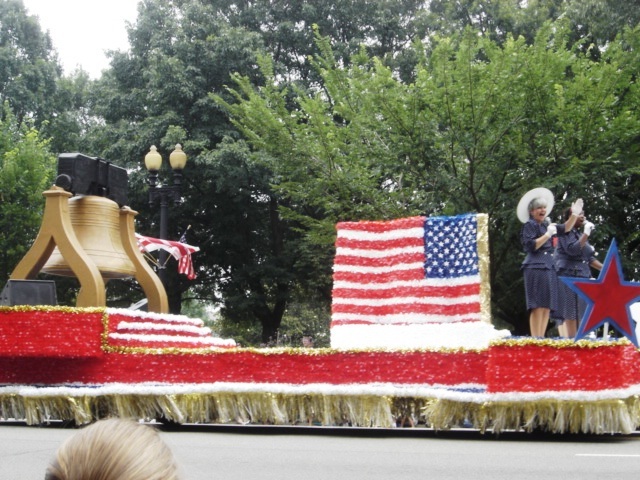 Every season brings plenty of parades to the D.C. and surrounding regions! I'll update this post as I discover new information. Want to get out of town? Great weekend trips from Washington, D.C. 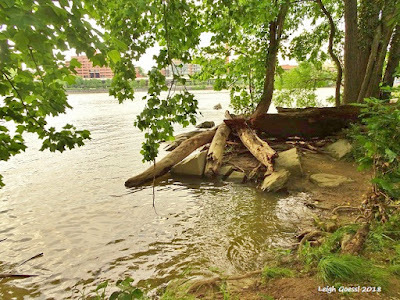 Living in the Washington D.C. Metro area means there are a ton of great things to see and do at any given time of the year, but sometimes you just want to get out of town for a change of scenery. Fortunately, there are several fab places to visit that are within driving distance of the District. Over the years we've ventured to parts north, west and south for both weekend and day trips. This year we've done some new exploring. 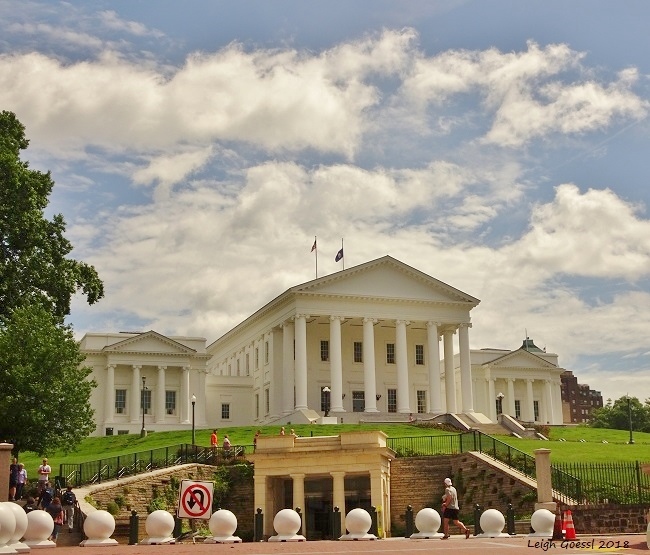 There is so much to see and do in Virginia's capital city, honestly, we haven't even scratched the surface. In May we took a quick weekend trip to Richmond and really enjoyed what little we did have time to see. The Capitol building was our first stop and we spent quite a bit of time there. After touring the Capitol inside and out, we walked by the Valentine First Freedom Center Exhibitions and Monument and decided to stop in; interesting exhibit. Next up we walked downtown towards the canal and had some lunch. We saw there was a canal history tour so decided to wrap up our day with a nice boat ride. The next day we drove through parts of the city to get another taste but unfortunately needed to get home. Richmond is definitely on the list of must-return places to visit for a weekend trip. A favorite of ours for day trips, last summer we decided to spend an overnight which gave us the opportunity to see the park in the evening and also give us time to really explore some of the trails. 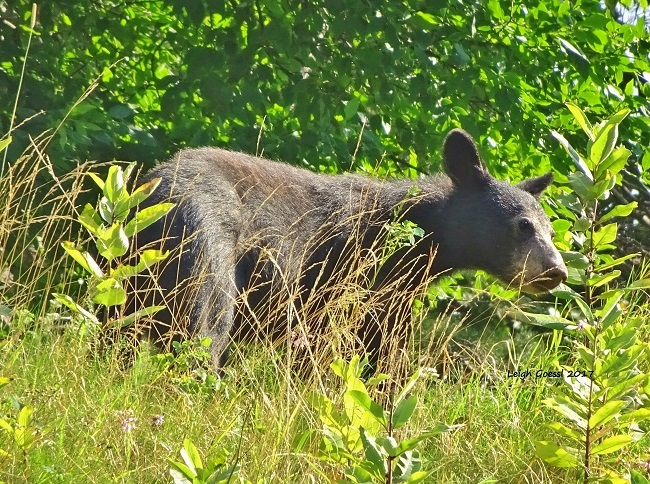 When looking at lodging we decided on Big Meadows Lodge. Over our two days, we took in a couple of ranger talks and hikes, along with several other trails we explored on our own. I love going during the summer to the park because of all the beautiful butterflies and other critters to be found. 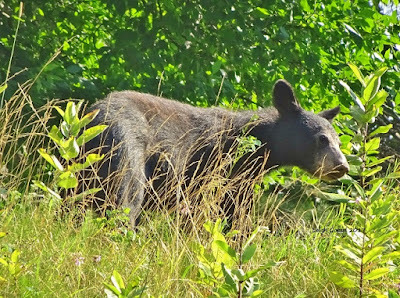 Spending more time in the park and wandering off Skyline Drive also allowed us to have our first bear sighting which was pretty exciting. This was a fun trip we took in May 2017. If you are interested in architecture and/or early American history, this would be a great trip for you. We started out early on a Saturday morning and took the ride down to the Charles City area of Virginia. Our intention was to visit as many of the historic houses as we could. Our first stop was Sherwood Forest, the home of the 10th president, John Tyler. To drop by you can tour the outside only. Payment is on the honor system by dropping cash in a box. If you want an indoor tour special arrangements must be made (there is a higher fee attached). 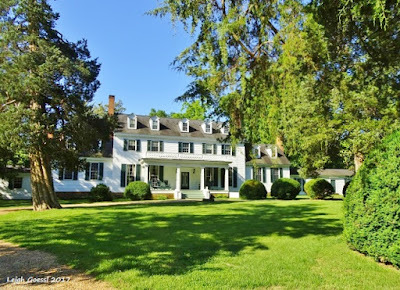 The home is still owned and run by the Tyler family since 1842 but the house itself is much older, early 18th century. Next up was Shirley Plantation, the oldest plantation in Virginia. Still owned and lived in by the family, this tour includes the first floor of the mansion and the grounds. The plantation dates back to 1613 and the current house was completed in 1738. This property had been on my "must see" list for years and it was definitely worth the wait. The tour was interesting and informative and it amazing to see the home's interior. 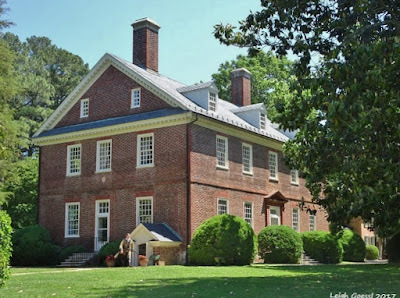 Our last tour for the day was at Berkeley Plantation, the home of two presidents, William Henry Harrison (#9) and Benjamin Harrison (#23). The family patriarch, Benjamin V. Harrison, was a signer of the Declaration of Independence. The mansion dates back to 1726 and the property claims to have held the first Thanksgiving in America in 1619. This tour was excellent and the (costumed) guide very informative; we enjoyed this tour a lot. To conclude the day, we booked a hotel just outside of Richmond, making the ride home the next day a relatively short one (about two hours). This was a trip we took last November. Our day started off at Historic Jamestowne where we toured the original site where the settlers landed back in 1607. We spent quite a bit of time on the island. Signage posting this was the landing site for Jamestowne settlers. There are numerous foundations, graves, a church and some replica structures throughout the island to explore. It's an interesting place to tour. You can take guided or self-tours (guided tours are by topic). New discoveries are constantly being made and we had visited at a good time, excavations are ongoing and they were making some new discoveries at the time (and from what I've read, another exciting discovery was recently made). On the way out, we stopped to see glass being made Colonial-style at the Jamestown Glasshouse. 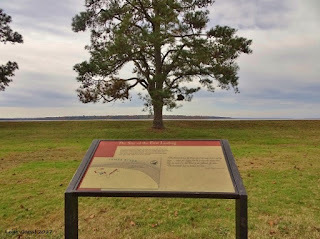 We didn't visit the Jamestown Settlement Museum on this particular trip but have been before, it's pretty expansive. Not to mention, the replica boats are pretty amazing to see (and you can board them, weather permitting). Also, there is an interesting museum and replica settlement to see. 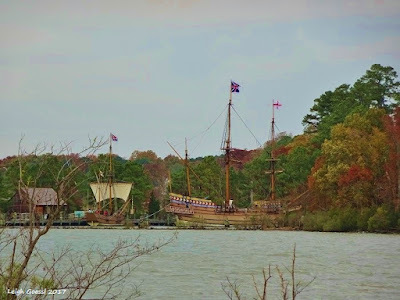 If you're in the area I recommend visiting both Historic Jamestowne and the Jamestown Settlement Museum. After Jamestown, we took a ride over to Yorktown and visited the battlefield and museum. Since it was late in the day, we didn't have a lot of time but tried to see as much as we could. We did a quick run through of the driving tour and think we covered some pretty good ground and still had time to check out the small museum. If you're in the area for the full weekend, you could probably fit Williamsburg in too. We didn't have enough time since we could only do one night. From what I've read, you need at least one full day, maybe more, to really get the experience over at Williamsburg. It was a little cold for a November visit, next time will definitely be in the spring or fall! Once again, we stayed at a hotel outside of Richmond and then made our way back to D.C. in the morning. A hop, skip and a jump from D.C., even if you live in Northern Virginia (like me), Annapolis a relatively close trip, easily done as a day trip too. We've made a few trips up there to tour the state's Capitol building and walk around the waterfront. 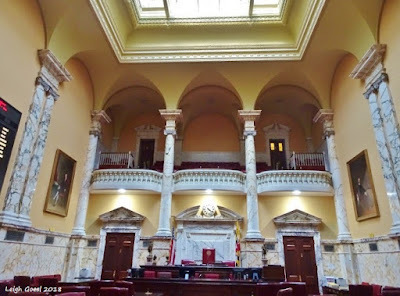 We haven't done nearly enough exploring of Annapolis but we have a weekend trip planned very soon. Very much looking forward to seeing what else this beautiful city has to offer. Baltimore - I can't properly write this one up yet since to date my visits here have been limited. In June we went up to tour Fort McHenry (and took a ride through the Inner Harbor and did a drive-by of Camden Yards while we were there) before heading back to our hotel near Arundel Mills for a dinner at Medieval Times. 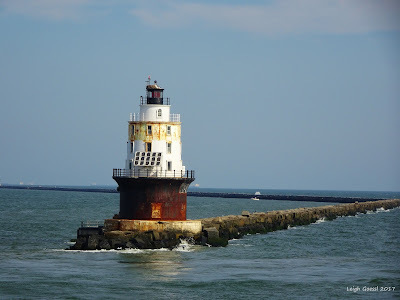 Lewes, Delaware - Take the Cape May-Lewes Ferry across to New Jersey while you're there, a great summer trip we did in August 2017! Spent time in Cape May at the beach and walked around to see the Victorian homes. Next time, we plan to explore historic Lewes. Luray - If you love nature, a recommended trip. Philadelphia - A three-hour ride from the District, Philly is a terrific city to visit. We've made a couple of weekend trips and still have so much more to see! While Washington D.C. is pretty awesome in itself, there are so many other terrific places to visit in the region without having to hop a plane. President Theodore Roosevelt, who served from 1901 to 1909, was a staunch advocate of conservatism. 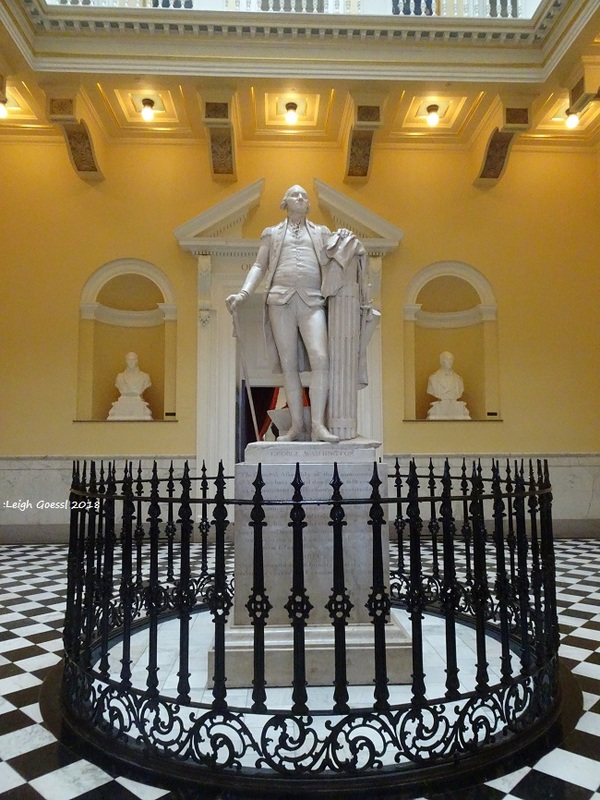 It seems fitting the memorial established to honor him in the nation’s capital is represented by the very land he worked so hard to preserve. Want to learn more? Here are some fun facts you may not have known about this presidential memorial. 1. 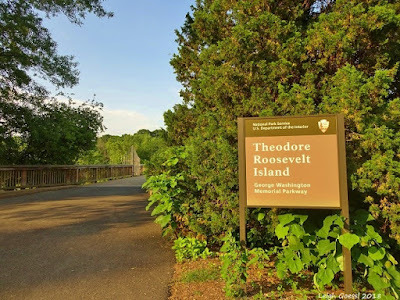 Theodore Roosevelt Island is located in the Potomac River between Washington D.C. and Virginia. It is comprised of 91 acres and is situated between Virginia’s city of Arlington and the District’s Georgetown locations. 2. The island was home to the Nacotchtank Native American tribe in 1668. They called the island Analostan and used the island for fishing. 3. It was once known as "Mason's Island" after the land was acquired by the Mason family in 1724. John Mason, the grandson of Founding Father George Mason, built a manor house on the highpoint of the island. 4. When the Mason's owned it, this tract of land was a prominent farm, but had been abandoned in the early 1830s. John Mason and family had to leave the island due to unhealthy conditions caused by local development. For the next century, the island changed hands many times. 5. In the early 1930s, the island was purchased by the Theodore Roosevelt Memorial Association. 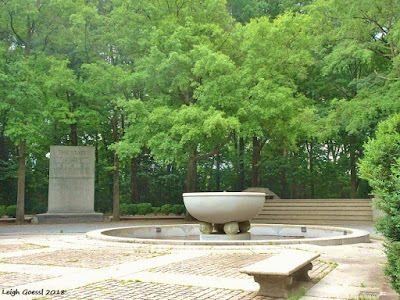 Landscape Architects began to transform the neglected land into a beautiful memorial with the intention to honor our 26th president. 6. 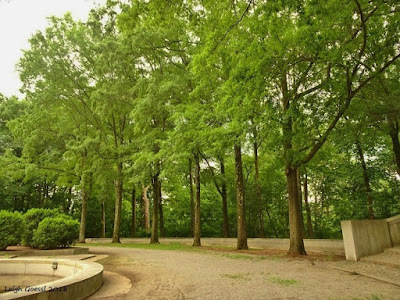 The Olmstead Brothers firm was hired by the Theodore Roosevelt Memorial Association in 1932. The plans were formed around the concept of building a living memorial to President Roosevelt with ideas of including an architectural monument as well. 7. The Civilian Conservation Corps (CCC), an organization started by President Franklin D. Roosevelt (5th cousin to Theodore), performed the work involved with clearing the island of all non-native vegetation and populating it with 20,000 native trees and shrubs. When WWII broke out in the late 1930s, work was temporarily halted. It would later be halted again after a highway bridge was planned in the mid-20th century which would cover part of the southern portion island, obstructing plans for the statue portion of the memorial. Congress ultimately approved funding in 1960 and work continued shifting this portion of the memorial to the northern part of the island. 8. 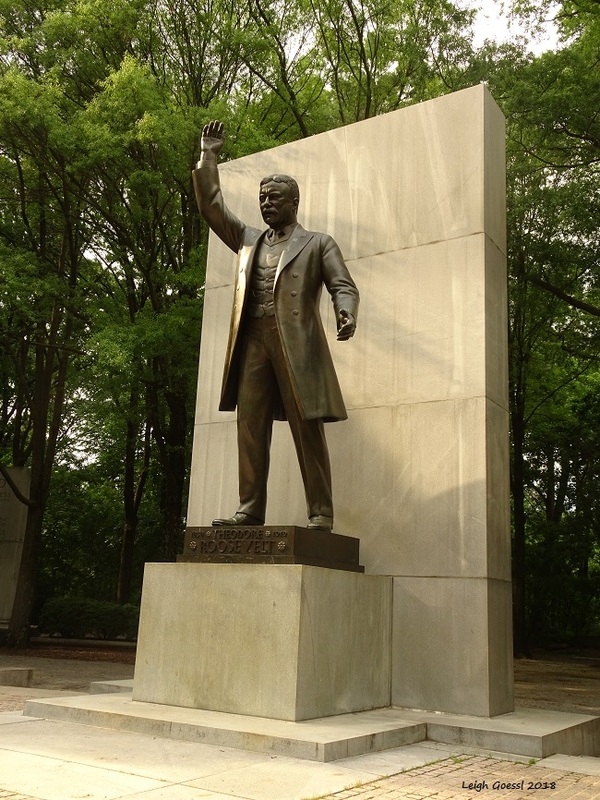 The statue depicting President Roosevelt stands 17 feet tall and is made of bronze. Four 21-feet-tall granite tablets surround the statue containing quotations pulled from Roosevelt’s writings. Two pools with fountains are also placed in this vicinity. This portion of the memorial was designed by an architect named Eric Gugler and a sculptor by the name of Paul Manship and it was brought to fruition between 1963 and 1967. 9. The natural preserve portion of the island is made up of 88 acres and represents three major ecological zones: swamp, tidal marsh, and upland forest. 10. 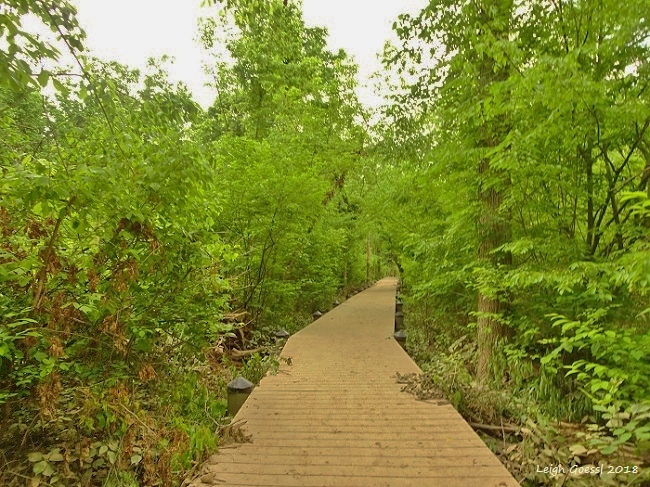 You can walk the trails placed on the island, it’s about 1.5 to 2 miles, and it will take you through the natural habitat of the island. It’s a great place for birding! 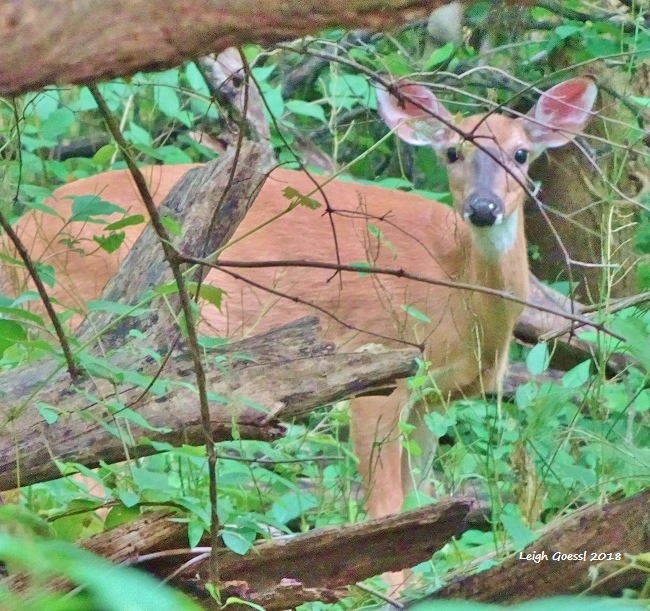 (You may spot other critters too). 11. 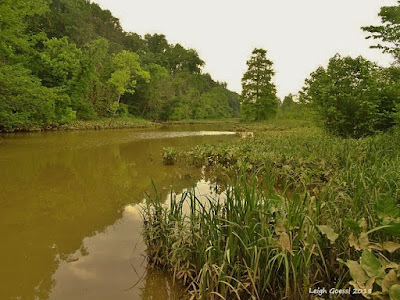 John Mason had a ferry boat where Georgetown residents would land and then use a causeway to get to Virginia. Dolley Madison used this route to escape the British burning of Washington D.C. during the War of 1812. 12. The causeway was built in 1805 and stood in place until 1979 when it was replaced by the current footbridge visitors use to enter and exit the island. 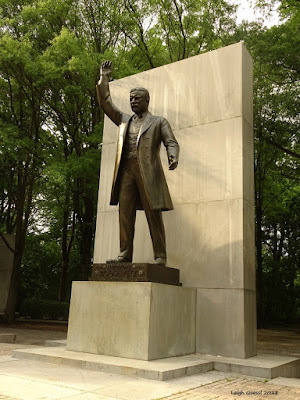 The Theodore Roosevelt Memorial is run by the National Park Service and is open from 6 a.m. to 10 p.m. daily. 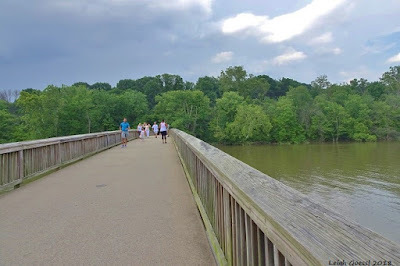 It is accessible from the Virginia side on the northbound side of the George Washington Parkway. There is parking and you’ll cross a footbridge to enter this living memorial. (Note: According to NPS website, there are currently no working restrooms or portable toilets on the island. I recommend checking before you go. When I was there, the men's section was definitely closed). Additional sources: Signage posted at the island and first-hand experience. All photos on this blog, unless otherwise specified, have been taken by me. All rights are reserved. Leigh Goessl/All rights reserved. Simple theme. Powered by Blogger.